On March 3rd, 2000, Robert S. Dubinski and Magdalena Wodzinska were married in a private ceremony in West Allis, WI USA. 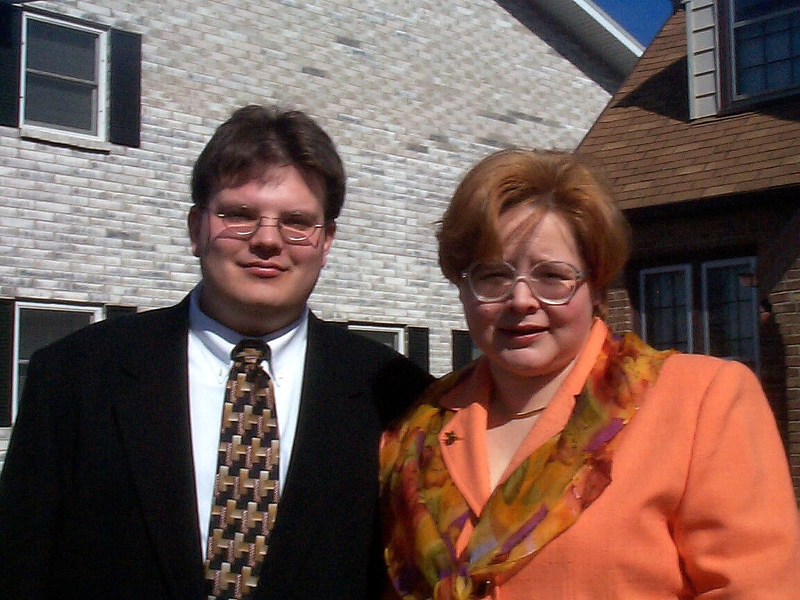 Robert (Robb) is the son of Stephen and Janet Dubinski of Hubertus, WI USA, and brother to Aaron and Dawn Dubinski. He is a graduate of Marquette University in Milwaukee, WI USA, receiving a Masters of Science from the Department of Mathematics, Statistics and Computer Science in May, 2000. He is currently employed by TAOS: The SysAdmin Company of Santa Clara, CA USA, as a Network and Systems Administrator. Magdalena (Magda) is the daughter of Krzysztof Wodzinski and Krzysztofa Wodzinska of Łódź, Poland. She is currently employed as a research assistant at the Chemistry department of Marquette University, and holds a Magister from the University of Łódź, Poland and a Master of Science in Chemical Research from the Imperial College of the University of London, England. Formal witnesses to the marriage were Dawn Dubinski, Robert's sister, and Tatyana Ershova, friend of the couple. Stephen and Janet Dubinski were also witness to the marriage. A reception had been planned for mid-September 2000, but has been cancelled due to logistic concerns. The couple thank you for your well wishes and look forward to seeing all our friends and family in the future.